Uh Oh. Guess Who’s Making Bad Boy Vodka? 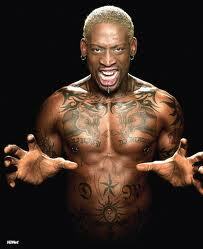 Welcome to the world of Dennis Rodman. Inducted in the Hall Of Fame. On and off the court – Always a Bad Boy. Being a Bad Boy is not an alternative, its human instinct. Identity. Life. Dennis Rodman The Original BadBoy Premium Vodka is a Four times distilled, All American Made Premium Vodka, with the added touch of an aphrodisiac to really get the party started! With Dennis being the perfect representative for a wild night out and a great party, our Vodka makes sure you won’t be disappointed when you’re living it up! If you are a distributor interested in working with us, please Contact Us using one of the methods on this site, and if you are a bar/club/restaurant owner – we would love to hear from you also, so we can put you in touch with a local distributor in your area. All inquiries related to events, sponsorship, business opportunities or anything else, please follow the link to our Corporate Page for AB Partners, LLC.